Welcome to B’s Garden Treasures. 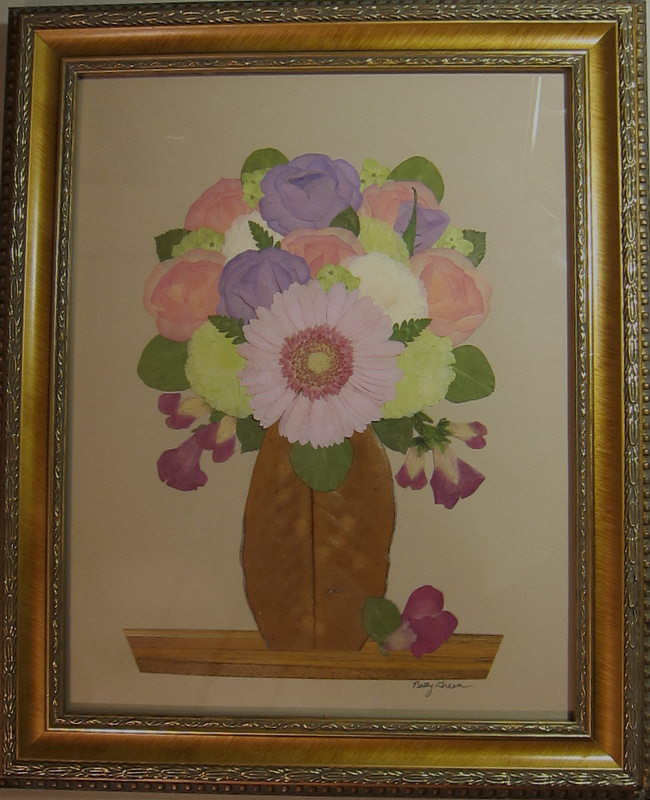 My art includes pressing flowers so their beauty can be preserved and enjoyed for years to come. Most of the flowers used in my work come from my own beautiful gardens. 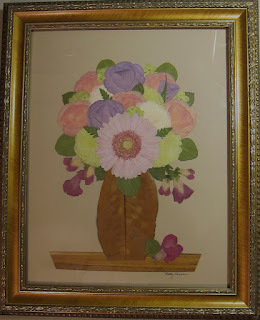 For additional samples of my work, visit bgtreasures.com. I was commissioned by a family to preserve memorial flowers and create two pictures. 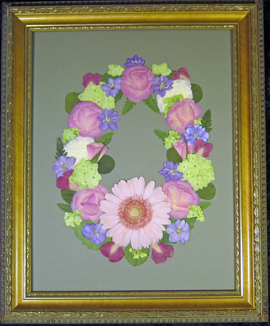 The daughter chose the wreath to reflect eternity. The granddaughter chose to have her flowers preserved as a bouquet in a vase.